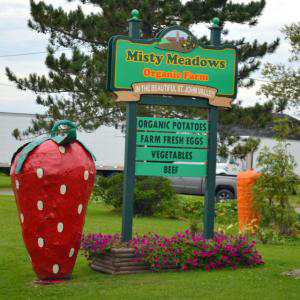 Misty Meadows Organic Farm is located in Grand Isle, ME. Misty Meadows Organic Farm has for years provided the local residents of Grand Isle with farm-fresh eggs, beef, and produce. They are a certified organic family-owned business that is dedicated to bringing you the finest and freshest organic products. We get their delicious potatoes during the winter!